The Certified Hotel Asset Manager (CHAM) designation is the world’s only advanced certification available to accomplished hotel asset management professionals. CHAM designees represent an elite group of senior hospitality professionals whose advanced knowledge in all facets of hotel ownership and operations was developed over a significant number of years serving in the role of “lead” asset manager. Their knowledge base is further validated by achieving a passing score on the comprehensive CHAM exam in addition to satisfying other designation requirements. The certification was launched in 2012 under the guidance of the Hospitality Asset Managers Association (HAMA) in order to establish industry-wide “standards of excellence” within the hotel asset management profession as a means for further solidifying the institutional/fiduciary role and expectations of a senior asset manager within the international hotel real estate community. A CHAM Advisory Panel, comprised of leading hotel asset management professionals and distinguished members of academia, is responsible for reviewing and approving all candidate applications and ensuring the exam content and questions are updated as needed to reflect the on-going evolution of the hotel asset management profession and hospitality industry. Advisory Panel members are CHAM designees appointed by the HAMA Board of Directors. Across the globe, hotel owners of all types, such as individual property owners, shareholders, lenders, pension funds, and sovereign wealth funds place many millions, if not billions, of dollars of equity and debt investments in the hands of hotel asset managers. These owners and stakeholders need certainty that the individuals directly responsible for the preservation and enhancement of asset values adequately possess the set of skills and knowledge domains required to successfully implement a comprehensive hotel investment strategy from start-to-finish. Achieving the CHAM certification announces that you have a place among the best in your profession and are capable of adequately fulfilling the role and expectations demanded of you by hotel owners and stakeholders. Once certified, designees are automatically enrolled in the CHAM Recertification Program, which recognizes and rewards continuing efforts toward hospitality career growth. A portfolio to help track professional-development activities is provided. The Advisory Panel will recertify those who qualify based on their accomplishments over the preceding five (5) year period. The CHAM designation and logo may be used on letterhead, business cards, and other writings. A list of CHAM designees can be found on the HAMA website. Seven (7) years of lead hotel asset management experience. Two (2) letters of recommendation, preferably including one (1) from a current or prior employer/supervisor and one (1) from an “end-user” of the hotel asset management profession (i.e. capital partner, client, lender, etc.). Payment of fee: $500 HAMA members through December 31, 2018. $750 after January 1, 2019. $950 non-members. Up to 50% of this fee may be refunded to you in the event your application is not approved. Checks may be made out to HAMA. Send to the attention of Ms. Stephanie Roy or PDF the completed application and forward to certification@hamagroup.org. Be sure to indicate your preference of exam medium. Reminder that you must sign and date the Application. For payment of application fee, the applicant can either e-mail the application with the check mailed to the above address or mail the application and payment to the address above. Allow 21 days for follow-up from the certification administrator. The CHAM Exam consists of 200 multiple-choice questions that must be answered within a four (4) hour time period. All test questions are designed to test the candidate’s mastery of various competencies derived from six (6) key areas of knowledge in combination with the minimum years of lead hotel asset management experience. To successfully pass the exam, candidates must achieve an overall minimum score of 70% (140 of 200 questions correct) with a minimum passing score of 50% on all sections. Candidates who fail to achieve a passing score on the first attempt may choose to retake the exam in its entirety, or alternatively to retake only selective sections in which the candidates wish to improve their scores. Candidates who do not successfully pass the exam on the second attempt will need to reapply for candidacy, subject to waiver for extenuating circumstances at the sole discretion of the CHAM Advisory Panel. ONLY confirmed candidates for the CHAM designation are eligible to receive a Content Guide and attend an examination. HAMA has partnered with AH&LA’s Educational Institute to offer an on-line exam option for interested candidates. All online exams require that examinations be administered under the supervision of a CHAM designee serving as proctor. Approved candidates for CHAM can test their readiness for the CHAM exam with the online CHAM Assessment Tool available through AH&LA’s Educational Institute. The CHAM Assessment Tool is available only to CHAM applicants who have been approved to take the CHAM exam. The CHAM Assessment is an online diagnostic tool to help assess areas of hotel asset management knowledge and prepare candidates prior to taking the CHAM exam. This tool will help you gauge your expertise in the knowledge and skills needed by today’s hotel asset managers. The CHAM Assessment Tool consists of one 30-question quiz that correlate to the six (6) sections of the exam knowledge domains listed above. The assessment can be completed within a limited time period and targets all six knowledge domains with questions similar in format and content to those contained on the CHAM exam. After completion of the test, candidates receive an evaluation report indicating their score and skill level against the required benchmarks. For additional information, please e-mail certification@hamagroup.org. Complete the Application for Candidacy. Be sure to indicate your preference of exam medium. Complete the Asset Management Employment History (or attach a professional resume) and complete the Certification of Lead Asset Management Experience. Attach two (2) letters of recommendation to the application. The letters are to address that you are a qualified candidate to sit for the CHAM exam. Letters are to be written by current or former supervisors and current or former clients/partners. Agree to the terms and conditions and date the Application. Upon submission of your application, the CHAM Administrator will e-mail wiring instructions for payment. Wiring payment will be subject to any additional bank fees applied at the time of payment and will be advised by the CHAM Administrator. On-line applications may be alternatively paid through mailing of check or money order (will not delay processing if check or money order is received within 7 days of application) to the address provided in the CHAM Application Checklist. Funds must be drawn from U.S. Banks. Unfortunately, we are not able to accept payment by credit card or debit cards at this time. All paperwork, including the Application for Candidacy, experience certificates, recommendation letters and payment information must be received by the Application Committee no later than 60 days prior to your desired exam date. The appropriate application fee must be paid at the time of application. Upon receipt of all the above information, the certification administrator will advise you in no less than four weeks whether your candidacy has been approved and that you are eligible to sit for the exam. Cody Bradshaw is a Managing Director at Starwood Capital Group and Head of European Hotels. In this role, he oversees the firm’s hospitality acquisition and asset management activities across Europe. Starwood Capital’s current European hotel portfolio consists of more than 20,000 rooms and $4B in asset value. 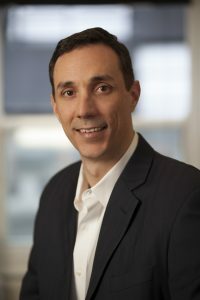 Prior to joining Starwood Capital, Cody was one of the first employees at Pebblebrook Hotel Trust (NYSE: PEB) where he served as Vice President of Acquisitions. Prior to Pebblebrook, he was the first employee of the Chartres Lodging Group where he played an integral role in growing the firm over a seven year period. He began his career at Hyatt Development Corporation after graduating from Cornell University. Cody co-created the Certified Hotel Asset Manager (“CHAM”) professional designation program which launched in 2012. He co-founded the European chapter of the Hospitality Asset Managers Association (“HAMA”) and is a member of the International Hotel Investment Council (“IHIC”).